Almost everyone is at risk for getting the flu, especially during peak times like January and February. While completely avoiding the flu can be difficult, getting a flu shot and knowing other ways to prevent it can help. So, what are some side effects of the flu shot? The CDC recommends an annual flu shot for everyone over 6 months of age, especially people who are at a high risk for flu complications. Children younger than 6 months and people with allergies to any ingredient in the vaccine should forego the flu shot. Check out this website for more information. Getting a flu shot should protect you from getting the flu. Getting a flu shot protects those around you because you are less likely to spread the influenza virus. Young children, pregnant women, and people with blood disorders or heart disease are at a higher risk for flu complications. If you do get the flu, a flu shot could make your illness less severe. What are the flu shot side effects? These symptoms are usually moderate and last for a short period of time. No. A common misconception is that getting a flu shot can give you the flu. 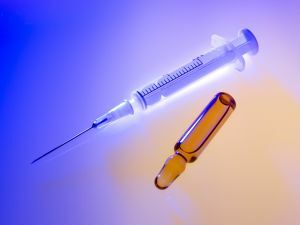 While some of the flu shot side effects could be mistaken for flu symptoms, it should be noted that the viruses used in a flu shot are inactive and cannot give you influenza. Need a flu shot? A physical? A strep throat test? Looking for a reliable walk-in clinic? Our team of physicians and nurses at FastMed are committed to offering accessible, affordable healthcare morning and night, every day of the year.